Neel Fairy Meadows is a place situated in Azad Kashmir. Kashmir is one of the most beautiful state in the world which is called as heaven on the earth. Its moderate and significantly pleasant weather distinguishes it from the other places of the world. Neelum valley, Jhelum valley, Pearl valley and Shounter valley are among a few popular visiting places of Azad Kashmir, yet Neel Fairy is a less explored place and it’s in the district Haveli of Azad Kashmir. The name of this place is derived from water lilly or Neelofer, which are found abundantly around the lake. People use these flowers as a vegetable too. 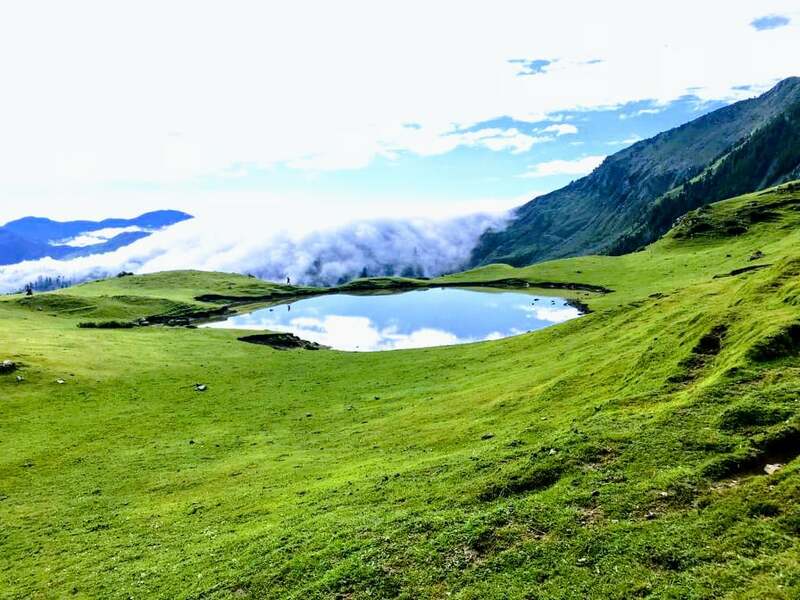 The lake is located at the height of 12,000 feet above sea level and its main source is rain water. There are uncountable types of flowers on the bed of lush green meadows. Kahuta is a beautiful village of Haveli District, some 200 kilometres (124 miles) away from Muzaffarabad, the capital of Azad Kashmir. It was initially a part of District Bagh but only in July, 2009 it became tenth District of the State. 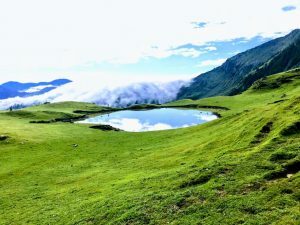 Neel Fairy Meadows is one of the most beautiful places of Kahuta and it covers the total area of 598 Square kilometres (230.89 square miles). The District has three sub-divisions; Haveli, Mumtazabad and Khurshidabad. Haveli District is famous for its brave and diligent tribes. The land is fertile yet major segment of the population consists of expatriates, most of them are residing in Middle East or European countries and their remittances help boosting the economy of our motherland. 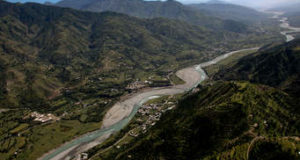 There is a Hydro-electric Power Project, with the production capacity of 4.MW at the Nullah (stream) Battar in Chanjel. The region has an amazing historical background, mainly because of a safer route between Poonch and Srinagar during the Mughal Era. The distance from Rawalpindi to Rawalakot is 109 kilometres which takes three hours, while the distance from Rawalakot to Kahuta is 110 kilometres which is a four hour journey. There are two ways to reach Kahuta, first one is from Hajira Abbaspur and second is Lasdana, Bagh District. 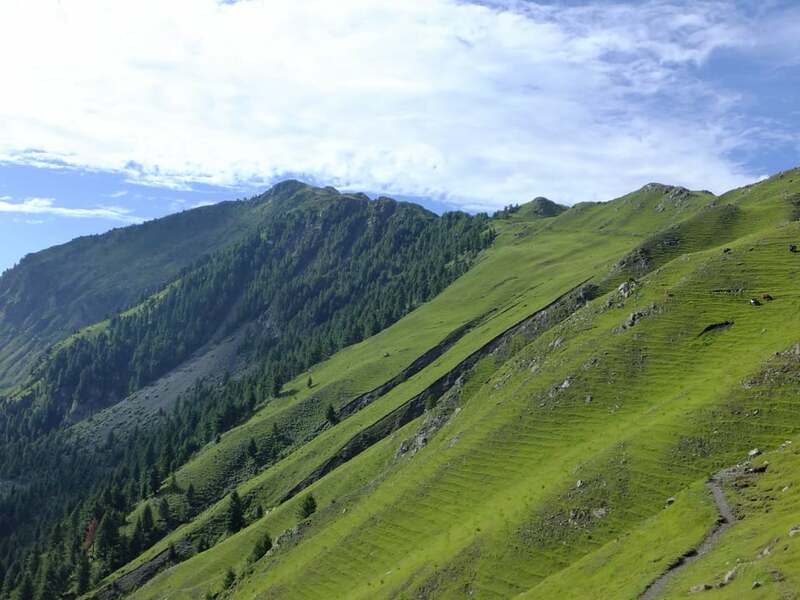 There are two routes to reach Neel Fairy Meadows. This route is from north Hallan and 12 kilometres away from Kahuta city. This is a Jeep track of one hour journey and one more hour of hiking. It’s a bit difficult route, passes through a jungle. This route goes from Suli. It’s 25 kilometres of length, 3 hour of Jeep tracking and one hour hiking. This is a safe track and one can easily access Neel Fairy from this route. From Lasdana, there are two ways to access Kahuta. (ii) Mahmood Galli from lasdana, which is 10 kilometres carpeted road. If someone wanna go to Beduri Top, he must take another 6 hours of trekking. Going up from Neelfairy means going above clouds. 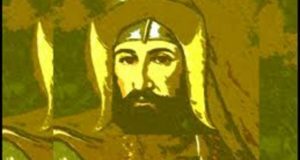 Jabbi Syedan is 2 kilometers away from Suli. There is a 7 kilometres shingle road till Galli. When the road ends, a 6 kilometers dusty trek starts towards Neel Fairy Meadows. 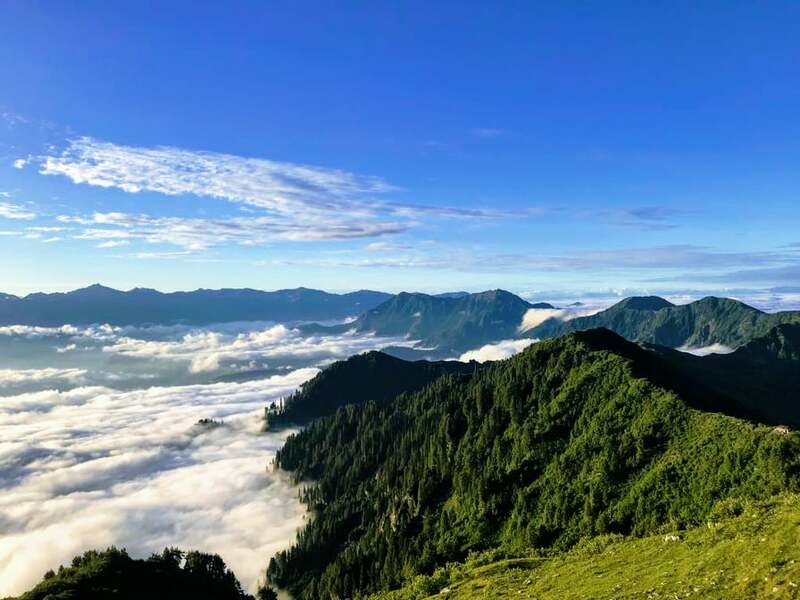 There’s an important mountain of the area “Bedori Top” which is located 8 kilometres ahead of Neel Fairy Meadows and its elevation is 3,727 meters (12,228 feet) above sea level. 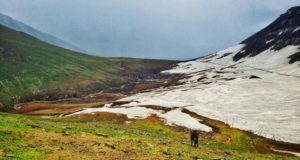 There are some other beautiful places of area like Haji Peer Pass, Hillan Valley, Ali Abad, Plangi, Khurshid Abad, Kala Mula, Sungulla Sharif, Jabbi Syedan, Sheru Dahara and Las Danna. 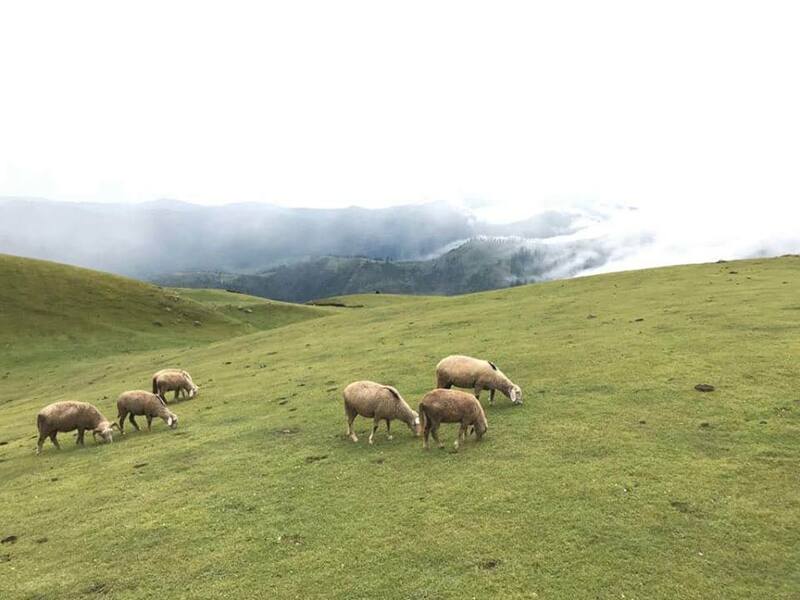 The most magnificent and panoramic place is no doubt Neel Fairy Meadows, which are situated in the foothills of Bedori Mountain. It now becomes a popular tourist spot, easily accessible through a metal road from Islamabad as well as Muzaffarabad to the Kahuta. Tourists and visitors can come to enjoy the natural beauty and serenity of the place, particularly in the summers. The majestic and mystic charm of the valley attracts the attention at first sight. This fertile land produces nearly all kinds of fruits, crops, dry fruits & nuts and above all pure natural honey. 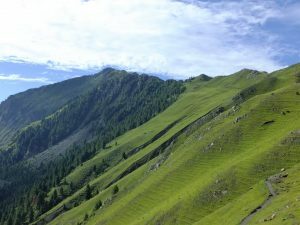 Kahuta, Plangi, Hillan, Bedori peak and Qaim Abad are the most prominent places to visit before reaching Neel Fairy Meadows. Qaim Abad is famous for its shrines of Sufi Saints, Baba Qaim Din and Baji Alaf Din. Really a beautiful place for tourists to visit. Please send me. I will upload with credits. Thing about exactly what the author you have got the information from would feel. to anyone. Put your readers at ease by not too bad-tempered.